Delphi Financial Group is a financial company with its main focus is on many types of business insurance. The company features on the US stock exchange (NYSE:DFG). Delphi was involved in a class action lawsuit along after it merged with Tokio Marine. A settlement was announced during April of 2012. The lawsuit stated that the defendants were in violation of federal security law and that they had put forth misleading or false statements which resulted in inflation of the market price of their securities. Shareholders buying these securities between January 2001 and March 2005 were wronged and instigated the lawsuit. The wrong doing was found by U.S. Securities and Exchange Commission who undertook an investigation finding that the profits laid out by Delphi had been inflated. On May 16 of 2012 it was announced that a $49 million settlement was in order. On July 31 of 2012 there will be a settlement hearing in the Court of Chancery Courthouse of Georgetown. They will determine the Settlement Class and decide whether the proposed Settlement is adequate. They will also determine whether Release Claims should be dismissed, and whether the Allocation Plans are adequate and if the fees and reimbursement amounts for attorneys are reasonable. WalMart is in the middle of a class action dispute over alleged gender bias in pay and promotions. WalMart is getting sued by a female employee for sexual discrimination via Title VII of the Civil Rights Act 1964. She claims she was denied a promotion after years of excellent employment and evaluations. The suit now represents all female employees working from 1998 on. This case which was filed in 2000 is still pending and the amount is estimated to be $11 billion. Class action lawsuits can be pretty involved cases, and some of them can take years to resolve. It gets even more complicated when there is more money involved, not necessarily because those cases are more important. Usually they bring in more heavy-hitters on the litigation teams, and this can escalate the legal arguments exponentially. For law students, these can be some of the most fascinating cases, and for others, they are simply bewildering. Looking at something like bankruptcy, and how that affects a securities class action, can lead to some interesting legal questions. First, a securities class action is one where there is an accusation of some kind of gross misconduct on the part of an individual or corporation, where large amounts of money have been misused. Generally, there are investments involved, and money is used inappropriately. An example of this would be a company who uses their workers’ pensions for their own investment purposes, then lose the investments, and hence lose the pension that the workers have already earned. In these cases, the class action is begun to get this money back, because it is what is legally, and morally, the workers’ money to begin with. That example works, but may not be the most interesting, because there is clearly a right and wrong side in the case. More often, the class action will reveal more ambiguities on both sides as the case goes on. There are, as one might imagine, many instances where the one being sued will declare bankruptcy, and file for bankruptcy protection. The law is clear on most of these matters, but very good lawyers can find ways of making it more complex and nuanced. Usually bankruptcy in these cases make any further action impossible, but there are many loopholes. One option, and a very good one, is to start making claims against individuals once the corporation has declared bankruptcy, and that begins another cycle of more legal proceedings. On February 23rd, 2010, the United States Supreme Court unanimously ruled in Hertz Corporation vs. Friend class action lawsuit, adopting that a ‘Corporations’ principal place of business is where its executives work and not where its products are sold. The Court stated that it was adopting a single test among the numerous approaches previously employed by the lower federal courts. Now, a corporation is deemed a citizen both of the state of its incorporation’s and the State where it has its principal place of business. Prior to this decision, the lower courts had adopted a number of increasingly complex and divergent interpretations of the provision, leading to a variety of different tests for determining diversity jurisdiction. Basically, it creates a more uniform interpretation of the statutory phrase ‘Principal Place of Business.’ This ruling will make it harder for class action suits to be filed against out-of-state corporations in state courts, which are known to be friendlier to class-action lawsuits compared to federal courts. The Supreme court ruled that a corporation’s place of business, or so called ‘nerve center’, is where its officers direct, coordinate and control its activities and not where the corporation has its largest amount of business. The ruling said if it finds that the corporation’s alleged ‘nerve center’ is nothing more than a mailbox or an empty office, then a court should determine the location of its actual principal place of business for purposes of determining the venue for a class action lawsuit. Legal experts claim the Supreme Court’s unanimous decision will make it easier for parties of class action lawsuits in different states to move the suit to from state court to federal court. The Class Action Fairness Act of 2005, which was backed by businesses, held that they could get fairer hearings in federal courts rather than state courts, especially if they are not residence of a state. Investors in the R.H. Donnelley Corporation have filed a class-action lawsuit in the United States District Court for the District of Delaware on behalf of purchasers of R.H. Donnelley Corp. publicly traded securities during the period between July 26, 2007 to May 28, 2009, against specific R.H. Donnelley’s officers and directors because R.H. Donnelley failed to account for its bad debt. R.H. Donnelley’s directors and officers are charged with violating the Securities Exchange Act of 1934, because they issued false statements and materials connected with the companies financial situation. In the complaint, it alleges that the companies directors and officers caused the company to not accurately account, in a timely fashion, for their bad debt. The complaint specifically alleges that because the directors and officers issued misleading, false statements and failed to disclose that its bad debt was not only due to lower advertising revenue, but also because of a shift in their customer’s move away from using the yellow pages for advertising. Plus, it is alleged that the directors and officers not only understated their exposure to liquidity possibilities and of a possible downgrading of their Stock Exchange rating, they allegedly created an erroneous support statement for their financial projections into the Class period that artificially inflated prices of the companies stock value. However, beginning in February of 2008, R. H. Donnelley’s directors and officers did start to acknowledge their financial woes with the company’s operations and with the financial results, so on March 12,2009, they publicly made an announcement that they had retained a financial advisor in order to assist with new evaluations of the companies capital, which would include the restructuring of various balance sheets. Then, only 2 months later, R. H. Donnelley filed for Chapter 11 bankruptcy protection in a debt-restructuring move that would wipe out existing shareholders. Leaving shareholders with stock trading at 6 cents per share. How Do I Register for a Class Action Lawsuit for Contaminated Water in USMC? Class action lawsuits can be some of the most fascinating legal actions in contemporary times. Because the nature of these suits affect a large number of people by definition, they also tend to attract an awful lot of media attention. They speak to the underdog in all of us, and they can also appeal to our universal need to come across unpredicted sums of money. Usually they involve being exposed to something unhealthy, against our will, so anyone could potentially be a victim if they were unfortunate enough to be at the wrong place at the wrong time. This is certainly what’s happening with Camp Lejeune, and here we’ll discuss your options if you feel you might have been affected. The case is revolving around water contamination. 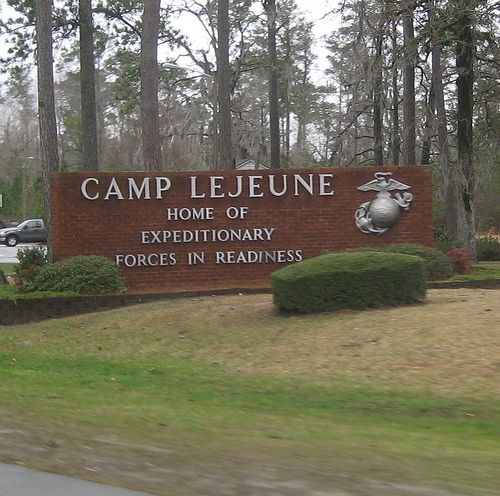 The Marine base at Camp Lejeune was connected to water sources that are now known to have been contaminated, with a level of toxic solvents that made it unsuitable for human consumption. This happened between the years 1957 and 1987, so it was something that was a considerable health risk for 30 years, and the toxins have been linked to birth defects and cancers. To make matters worse, it seems as though there is evidence that it was known to be toxic in the early 60s, and so much of the damage could possibly have been prevented. Some say that this is the worst case of contamination in history, and there were thousands and thousands of military people, their families, and residents who were exposed, and the numbers could come close to one million. This class action suit is a very hot topic, then, and there are many ways to investigate to see if you might be eligible to register in the class action. The main offices in charge of the suit are North Carolina’s Anderson Pangia and Associates, and Pennsylvania’s Smorto, Persio, Webb and McGill. Contacting them could be a good first step, or you could also contact any experienced attorney that you trust, and they can help put you in touch with the right people. Please note: This is an informational site. We do not sign people up for lawsuits. Why is there a Class Action Lawsuit against Macys? On January 7, 2010, a class action lawsuit was filed against Macy’s, claiming that the department store allegedly misled thousands of consumers nationwide by selling jewelry that had stones and gems which were enhanced artificially and filled with lead in an effort to exaggerate the true carat weight as well as to hide imperfections. The Brandi Law Firm has filed the action and has set forth details of fraudulent conduct, which includes claiming to sell natural rubies when they were in fact glass filled and/or lead filled treated stones. The lawsuit also alleges that Macy’s sold gems from banned countries, and passed off black sapphires as diamonds and Praseolite (a type of quartz that has been heated) as green amethysts. They also claimed to sell sapphires that were really fracture-filled glass. The treated stones not only are less valuable than real gems, but they’re also more fragile. They’re easily discolored, even with ordinary use and cleaning, which would render them difficult, even impossible, to fix. Attorneys for the plaintiffs have expressed their disappointment with Macy’s, referencing the many people who were misled by this practice. The goal of the lawsuit is to force Macy’s to stop the alleged practice, and to pay back the customers who have purchased the treated stones unknowingly. The early morning national news program, Good Morning America, has aired a story on these misleading practices. In a separate lawsuit, a gemologist and appraiser who worked from 1983 to May 2009 accused the company of firing him after he reported the problems with the stones from 2007 and 2009. If you believe that you bought jewelry, stones or gems from Macy’s anytime from January 2005 until the present day, you may have an interest in this lawsuit. If you conclude that your rights have been violated, you may wish to contact the Brandi Law Firm. If you contact them, then someone from that firm will examine your information and be in contact with you. Class actions lawsuits are really in a league of their own when it comes to filing complaints against companies and sue for damages as well as losses. While it only takes one consumer to actually initiate the suit, there must be a large number of other individuals who have suffered the same unfortunate outcome of the product or service. This actually makes them both a bit more accessible and also more complicated, which is part of their uniqueness. The reason it makes them more accessible is that smaller claim suits that would not be acceptable in most instances are able to be filed when they are added to hundreds or thousands of other individuals who have the same complaint. Meanwhile, this also adds a bit of complication to the process. A good example of this is the recent suit filed against Toshiba. A class action DLP suit was filed in 2007 due to the malfunctioning of a television bulb, which continued to cause owners hundreds of dollars in fees and replacements and the new bulbs demonstrated the same poor quality and shortened life span. In this case there were about 265,000 individuals who were listed on the complaint and Toshiba was ordered to pay out over a million dollars. The question then became, which is a major part of most of these class action suits, when will Toshiba pay the claim? And that’s a good question. In the case of Toshiba, the settlement has been closed and as of March 14, 2009 an update indicated that checks on the suit were being sent out. However, since the claim is closed, complaint submissions are no longer being allowed. This is actually more of a smooth case file, outcome and payment situation. The legal process can vary in time lengths and payment schedules. Sometimes a company will try and stall the payout, though when one is as well known and a household name they will generally pay out a settlement as required because they do not want to further damage their reputation or company name. Just as there are various factors affecting the viability of a lawsuit there are also different factors that contribute to the outcome process. A class action sounds rather complicated, and like any legal matter, it certainly is, for those who have to do the detail work. If you’re not a lawyer, however, it’s really not all that complex. There are very exact steps to take, but most of these will be handled by the attorney. This will give you a good idea of how to get the ball rolling, but first, before we look at the how, let’s look at the why. A class action is something that’s filed when there has been some kind of misconduct on the part of a larger entity, such as a business or corporation, that has adversely affected a large number of people. When it’s a large enough group, it makes sense for everyone involved to handle it as a large group rather than hearing all the individual stories. This makes for a class action. To begin, then, there are a few criteria that need to be met for a class action lawsuit to be considered viable. These questions are important for you to ask yourself before interviewing attorneys to take your case. They will make the bulk of their money on the case if it wins, so they have as much interest as you in winning, and every reason to turn it down if it’s not thought out. Keep in mind that the lawyers usually get about 25% of the award on these, and sometimes more. This can leave very little left for the individuals. The criteria then include: a large enough group of people affected, commonality among all of them in terms of damage, the damage has to have come from the same event, and then there’s also concern for viability of the defendant along with viability of the legal representation. They will necessarily want to make sure the damages are as uniform as possible, so that the need for class action is clear. If there are lots of individual variables and concerns, it is not a good candidate. A good example of a good candidate, then, would be a video store overcharging for late fees. This case would be easy to resolve if it were found in favor of the people, and the damages and rewards would be uniform. Once these criteria are met, then, you would be ready to take it to the lawyers that you feel would best represent you, and begin getting ready to go to court. The Continental Can Company is one of the many large companies throughout history to be brought to trial in a class action law suit. They are one of the many companies that have been accused of taking advantage of people for monetary gain. The history of this suit began in 1970. While the company was doing well, and while profits and revenue continued to climb, the company was looking to cut costs in order to give their investors higher returns. Looking to ensure the company’s growth and looking for ways to cut their bottom line, they turned to what has been called immoral and unethical acts. Members of the Steelworkers Union from Los Angeles to St. Louis came together in a class action lawsuit stated that the Continental Can Company took those cuts in their budget by taking the pensions of workers who had given their entire lives to the company. Due to the protection of the Union, the administrators found it necessary to find a creative way to cut their costs by the cutting of pensions. The pension plan was intended to encourage this life long service, as once a worker had reached retirement age, they would be eligible to receive the pension payments for the rest of their lives. Those who left the company early would forfeit that pension. The name for a computer program that tracked the length of the worker’s employment was devised and titled “BELL” This was a backwards acronym for “Let’s Limit Employee Benefits”. The computer program kept track of those employees who were approaching their retirement, and when that would happen, those employees would be laid off or fired. This was taking place for ten years before anyone realized what was going on. It was not until the 1980’s that evidence that this was taking place was revealed. There have been many cases since then, of companies taking advantage of or defrauding their own employees for a higher monetary gain. Continental Can Company was found guilty, and they were required to pay each and every employee who was wrongfully terminated over the years. This was one case where justice was served. Bad Behavior has blocked 992 access attempts in the last 7 days.